Pastor Ron Brown, and his wife Sheryl, are native to Florida. 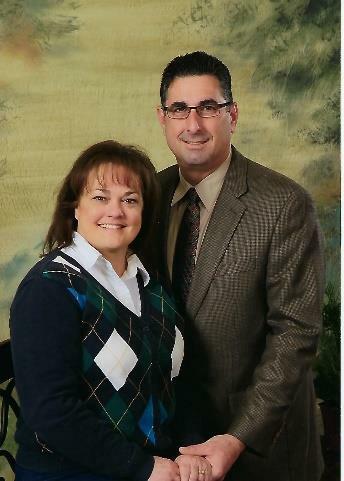 Pastor Brown was born and raised in Tampa, and Mrs. Brown was born in raised just outside of Tampa, Brandon Fl. Early on, their parents made sure they were involved in their home churches. Both attended independent fundamental Baptist churches throughout their childhood. It wasn’t until after high school when the Lord brought Pastor and Sheryl together. They were married and began their lifelong journey together. Residing in Florida, the Lord blessed them with two sons, Jason and Nicholas. While serving in their local church, the Lord began working in their hearts, giving them a burden for the souls in America. Pastor, being led by the Lord, uprooted his family and began a new venture for Christ. In 1994, Pastor enrolled at Crown College, in Powell Tennessee. As a married student, with a stay-at-home wife to raise their children, God’s grace was evident. By His grace, Pastor and his family grew tremendously in the Lord during these years. He completed his course studies, and moved to the Northeast. It was in the final stages of his time at college that the Lord began working in their hearts and directing their paths into ministry. Pastor Brown, Sheryl, and the boys, entered into the gospel ministry in the summer of 1997. After college, Pastor Brown interned, pastored in various states, taught in Bible college, and various other ministries. The Lord has now brought them to us, Fellowship Baptist Church. Their boys are now adults, and Pastor and Sheryl Brown are now ministering with the good people of F.B.C. Thank you Lord for your local Church body! !